Mankind’s dream of touching the skies has inspired the creation of several spectacular buildings across the world. Several records are broken and made with the creation of every skyscraper. If you are yearning for the heights then take your next international tour to any of the following 3 destinations and be awed by some of mankind’s most impressive creations. 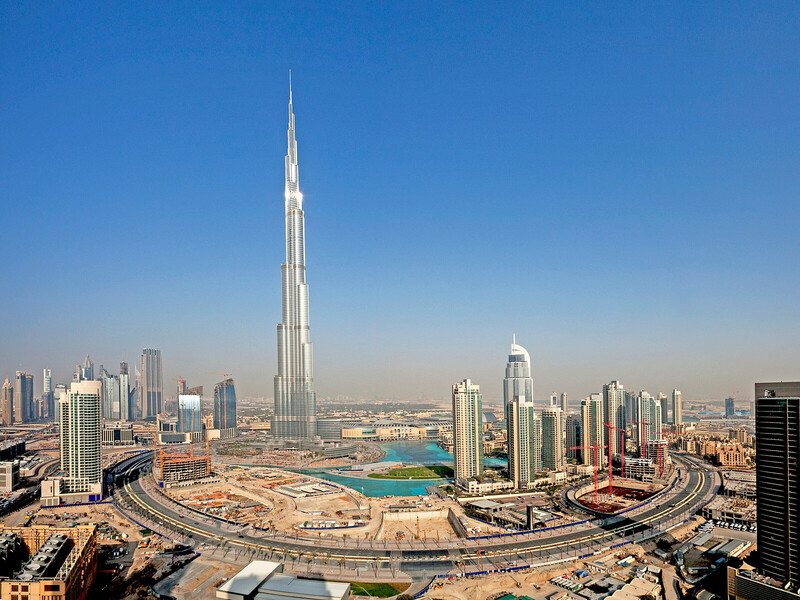 Situated in Downtown Dubai is the most magnificent building built by mankind. Measuring 2717 feet in height and having 163 floors, the tower holds to its credit 7 world records, including highest occupied floor and highest observation deck. The observation deck is situated on the 124th floor and is open to the public on all days from 10 am to 2 pm. Tickets to the deck can be bought at cheaper rates beforehand or can be bought on the same day itself. Adding to the list of records for the building is the first hotel designed and developed by Giorgio Armani. Sleek, modern, and luxurious, the Armani hotel aptly complements the magnificence of the building. Standing 2073 feet tall in second place is the Shanghai Tower, which is set to be completed in 2014. Once completed the building would host the fasted single-deck (18 m/s) and double-deck (10 m/s) elevators. The Shanghai Tower would surpass the Burj Khalifa in holding the world’s furthest traveling single elevator (1,898 feet). The façade of the building is being made with 2 layers of transparent glass, thus reducing the need for air-conditioning systems, and will be divided into 9 vertical zones housing retail space, observation decks, and corporate offices. 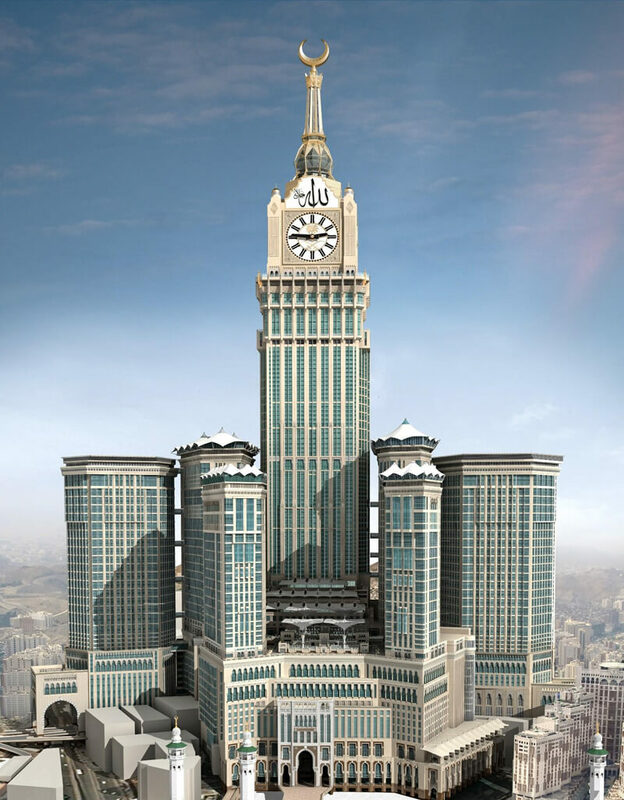 The Makka Clock Royal Tower, the hotel tower of the building complex Abraj Al-Bait Towers, is the world’s third tallest building, the tallest clock tower, and has the world’s largest clock face. The complex also holds the record of having the largest floor area. The tower is 1971 feet in height and houses the Fairmont Hotel. The complex serves as a haven for Muslim pilgrims who come to Mecca, and entry to the region is restricted to Muslims alone. Add one of these international destinations to your bucket list if you are yearning for the heights and wish to visit some of the world’s tallest man-made buildings.